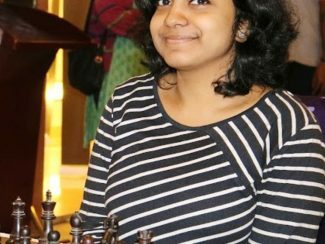 Michelle Catherina (from Tamil Nadu) emerges joint leader at Velammal – AICF Women Round Robin. 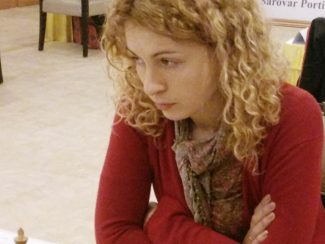 Babiy Olga emerges sole leader at Velammal – AICF Women Grandmaster Round Robin Chess Tournament. 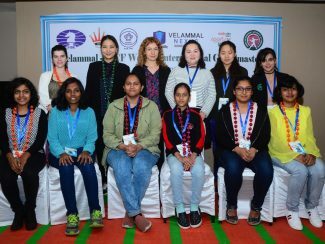 Winning start for Saloni & Angela @ Velammal-AICF WGM Chess. 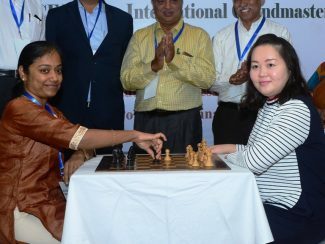 Aarthie inaugurates Velammal – AICF Women Grandmaster Round Robin Chess Tournament. 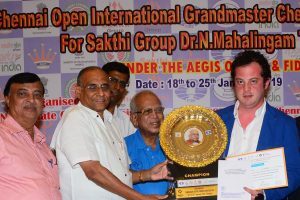 PANTSULAIA LEVAN EMERGES CHENNAI OPEN 2019 CHAMPION. 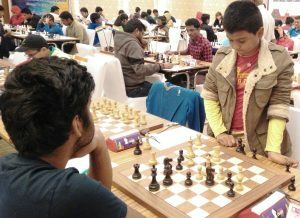 PANTSULAIA LEADS 8/9, IM NORM FOR PRANESH.